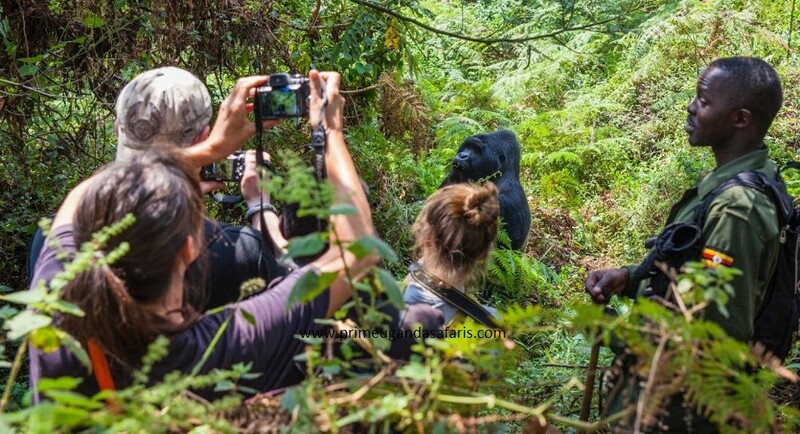 Your 7 days Uganda gorilla safari Bwindi, Queen Elizabeth wildlife tour & Chimpanzee trekking tour Kibale or 7 days Uganda gorilla safari and wildlife tour offers a gorilla trekking and wildlife encounter experience. 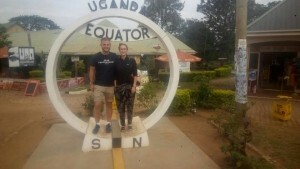 The 7 days wildlife tour and gorilla trekking safari in Uganda features the equator experience, chimpanzee trekking in Kibale forest national park, Bigodi wetland nature walk, game drive and boat cruise at Queen Elizabeth National Park, gorilla trekking in Bwindi impenetrable national park and a boat cruise at lake Bunyonyi. 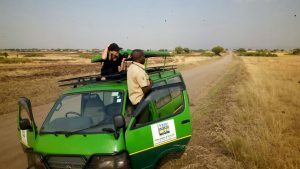 Starting with an amazing pick up from Entebbe international airport by your Uganda safari guide. After the pick-up,you then continue with the drive to Kibale forest national park where you relax, have dinner and spend the night at . 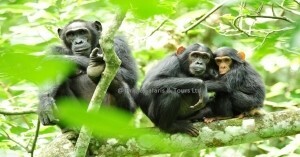 The next morning, you go for chimpanzee trekking at the park then go for a nature walk at Bigodi wetland in the evening. After breakfast the next morning, you are driven to Queen Elizabeth National park via the ishasha sector arriving for an evening boat cruise and an overnight stay. 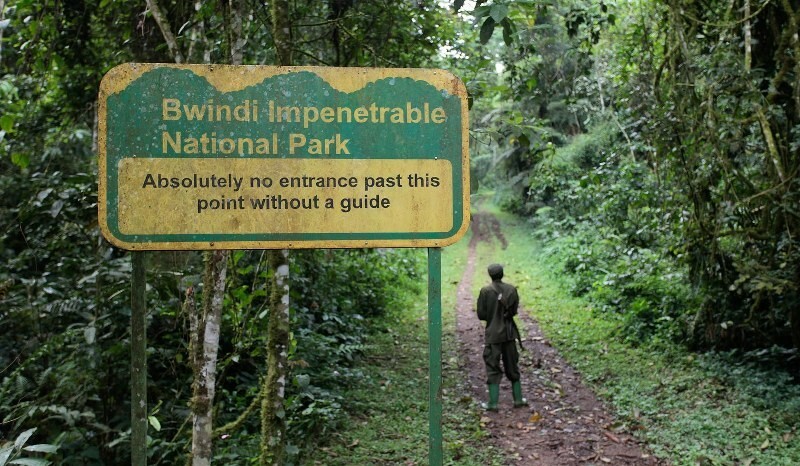 In the morning on day 4, you will go for a game drive, have lunch then then transfer to Bwindi impenetrable national park. Gorilla trekking starts by 8:00am on the 5th day for 2-8 hours then a drive to Lake Bunyonyi the next morning for a boat cruise. 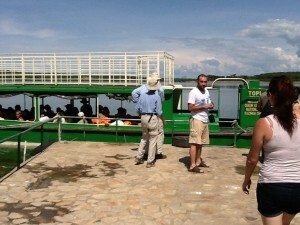 You depart via Entebbe international airport the next day after a drive from Lake Bunyonyi. Day 1: By sunrise, your knowledgeable driver guide will be at your lodging facility in kampala to pick you up for a drive to Kibale forest national park. Day 2: You go for morning chimpanzee trekking in Kibale forest national park then go for an evening nature walk at Bigodi wetland. Day 3: after breakfast, you are driven through the ishasha sector to Queen Elizabeth National park where you do aa late evening boat cruise. Day 4: You do a morning game drive for early risers’ sightings then drive to Bwindi impenetrable national park in the evening. 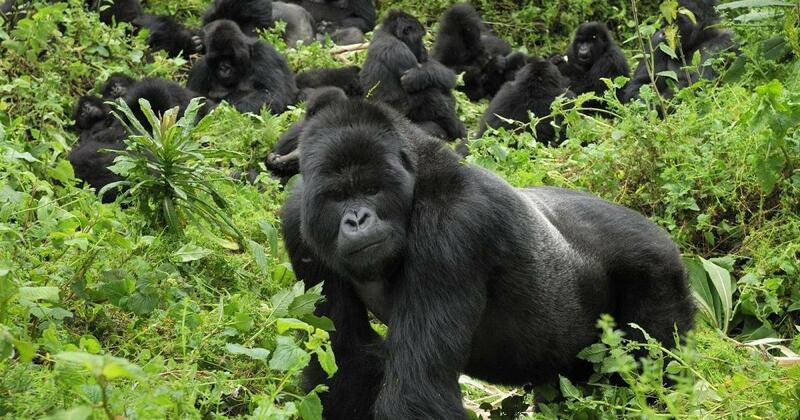 Day 5: By 8:00am, you will be having a morning gorilla trekking experience for about 2-8 hours. Day 6: After breakfast, you embark on a drive to Lake Bunyonyi where you undertake a canoe ride to the islands on the deepest lake in Africa. Day 7: After a relaxed breakfast, you are driven past beautiful landscapes to Entebbe international airport. Upon early arrival at Entebbe international airport for a Uganda wildlife safari, a knowledgeable driver guide will welcome you and start the drive to Kibale forest national park. You continue with then drive arriving for check in and relaxation in an accommodation in Kibale forest national park where you prepare for chimpanzee trekking the next morning. After early breakfast, you head for chimpanzee trekking at the park headquarters in Kibale forest national park starting at 8:00am. 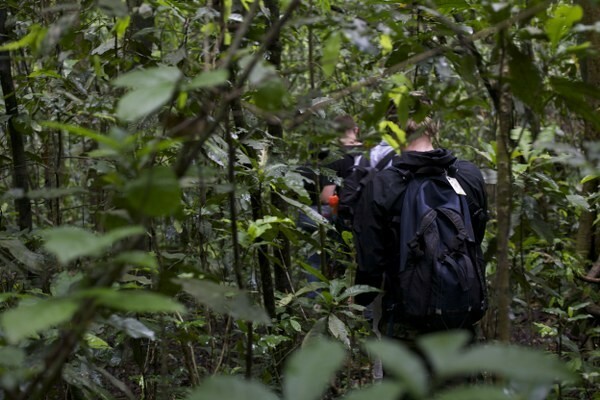 Chimpanzee trekking involves some hiking in the forest lasting 2-5hours with only 1 hour spent in the presence of the chimpanzees as you watch them chunk fruits and leaves and at play. 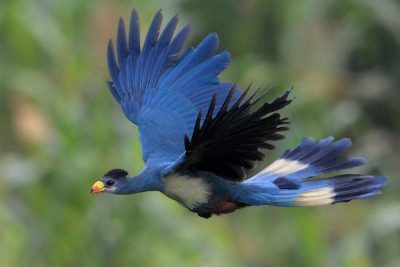 After the trek, you then are driven back to your lodging facility for lunch and relaxation as you plan to go for a nature walk in the evening at a favorable place for Uganda birding safari tours. Walking through a pristine place with several wild species especially birds is something amazing. In the evening after a nature walk at Bigodi wetland just a few minutes’ drive from Kibale forest national park, you are returned to your lodging facility for an overnight stay. You have an early morning breakfast then drive through the Ishasha sector of Queen Elizabeth National park popular for tree climbing lions. Upon arrival, you check in to your booked accommodation in Queen Elizabeth National Park where you have lunch as you prepare for an evening boat cruise. 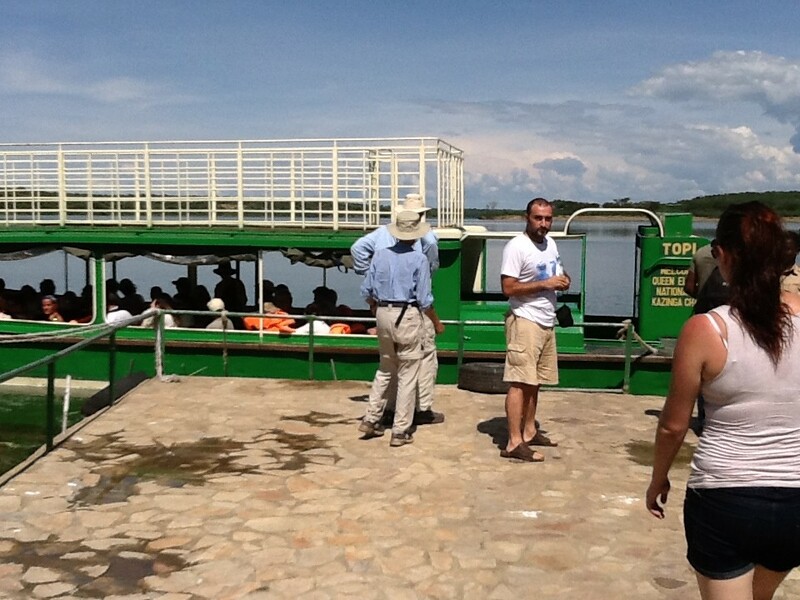 By 2:00pm, you go for a boat cruise at the 45km long Kazinga channel home to numerous hippopotamuses and crocodiles for about 2 hours. In the evening you drive back at sunset to your lodging facility for dinner and an overnight. On this day, you rise with the sun and be driven to Queen Elizabeth national park headquarters for a morning game drive with automatic sightings of early risers. The Elephants, lions, Buffaloes, water bucks, topis give the common sightings for a wildlife safari in Uganda to this park. After 2-4 hours of the game drive, you return to your lodging facility for a meal then start the drive to Bwindi impenetrable national park. You check into a preferred accommodation in Bwindi impenetrable national park for dinner and a night stay as you plan for gorilla trekking the next day. The Uganda gorilla trekking safari experience day is finally here and expect to be up as early as 6:00am depending on your lodging facility. You are at the park headquarters by 8:00am for briefing where after with the park rangers and 7 other gorilla trekkers you get into the jungle. 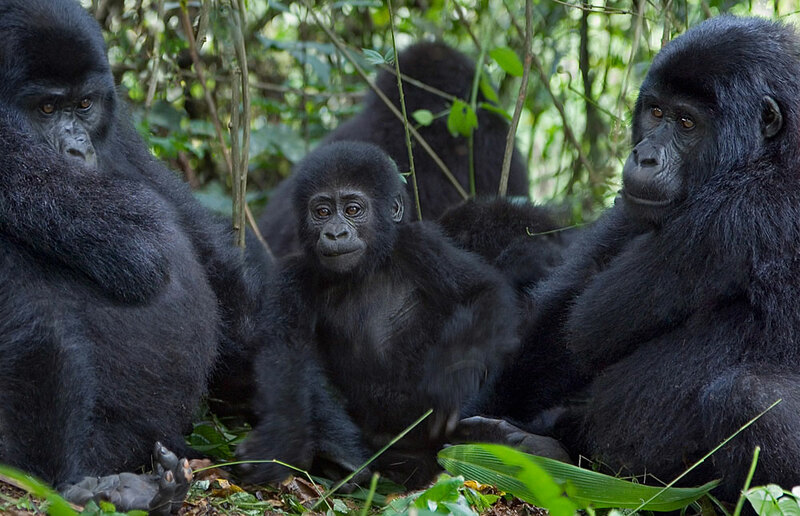 You spend about 2-8 hours in search of the mountain gorillas and a single memorable hour in the gentle giant’s presence. 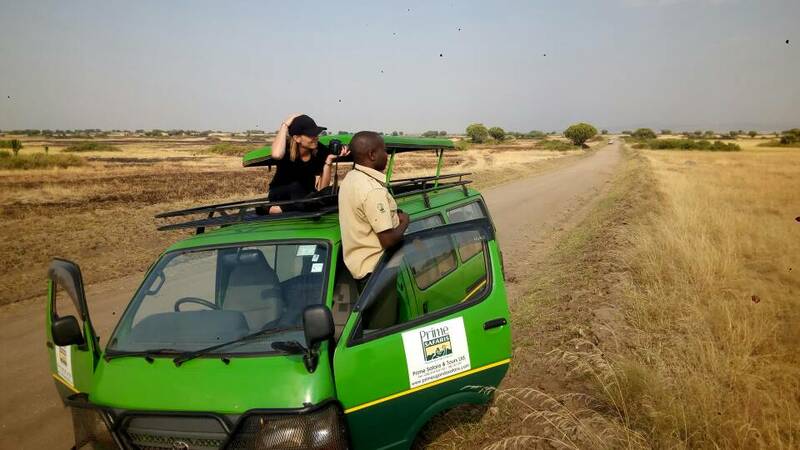 After spending 1 hour in the presence of the gentle giants you will return to the park headquarters for receipt of a Uganda gorilla trekking certificate then be driven back to your lodging facility for relaxation, dinner and an overnight. After breakfast, you are driven from Bwindi to Lake Bunyonyi for a time to learn something about the history of this beautiful lake. You take a canoe ride to the punishment island with a local guide taking you through the tales of how this island with a single tree surviving on it gained its name. You spend the night at a preferred accommodation close to the Lake. The amazing trip in south western Uganda comes to an end with an early morning breakfast then drive back to Entebbe international airport for a departure flight. Featuring scenic sightings, you are returned to the airport for your return flight with some craft shopping in either Kampala or Entebbe in case you need to. Spend your week the best way, there is no better way of spending a week on safari than taking up this tailored trip to Kibale, Queen Elizabeth, Bwindi and Lake Bunyonyi.